The other day I performed some jerks and hiked the day after that. I always remain active even though I may not always post. Today's workout was done as a two parter. 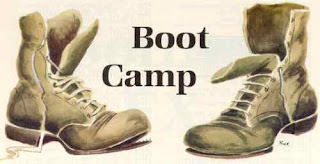 First I tossed around my kettlebell and then I jumped into my Boot Camp. Then about an hour and a half later I taught and joined in on Boot Camp. 1. Bench Step Ups- 1 min. 2. Bench Jumps or Rebounds- 1 min. 3. Bulgarian Squats- 1 min. 4. Mountain Climbers- 1 min. 5. Gestapo March- 1 min. 5. Reverse Lunges- 1 min. Jumping Lunges for 1 min. After that I went home and stretched for about 15 min. What Multi-Vitamin Supplement Should I Take?